While each property showcases its own style, all 10 hotels feature three key traits that set them apart: superb customer service, extravagant amenities and serene settings, ranging from cliffside beach oases to tropical island sanctuaries. While half of the top 10 hotels featured on our annual Best Hotels in Mexico list - determined by a comprehensive methodology that assesses each property's class rating, industry accolades and guest reviews - made an appearance on last year's list, the other half made considerable leaps, including Le Blanc Spa Resort, which rose from No. 29 in 2015 to No. 10 this year. And while each property showcases its own style, all 10 hotels feature three key traits that set them apart: superb customer service, extravagant amenities and serene settings, ranging from cliffside beach oases to tropical island sanctuaries. Climbing up 19 spots to make this year's Best Hotels in Mexico list, the adults-only Le Blanc Spa Resort, which conveniently sits in the northern part of Cancun's Hotel Zone, consistently wows visitors with its stunning ocean vistas and modern interiors. And thanks to the resort's all-inclusive philosophy, guests can indulge in top-notch amenities, such as unlimited meals, butler service, Pilates and aqua cycling classes. Plus, guests can cash in on a complimentary resort credit for add-ons like spa treatments, rounds of golf and off-site excursions. Carved into a cliff that stretches across 24 acres along the ocean, The Resort at Pedregal impresses visitors with its friendly staff, immaculate grounds and luxurious rooms (all of which boast plunge pools). This stunning Cabo San Lucas property also features plenty of on-site amenities, too, including four resort pools, two tennis courts and a full-service spa. 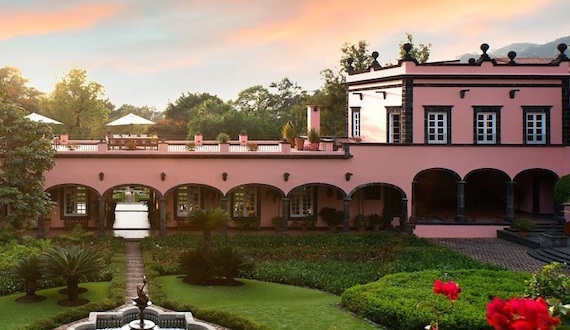 Though the Hacienda de San Antonio lacks the ocean views of other luxury retreats in Mexico, the property's lush and secluded setting at the bottom of an active volcano leaves many recent guests feeling relaxed and pampered. And with standout features, such as a picturesque pool, meals made with fresh ingredients from the on-site farm and activities like horseback riding and mountain biking, it's easy to see why the Hacienda de San Antonio took the No. 8 spot on this year's list. 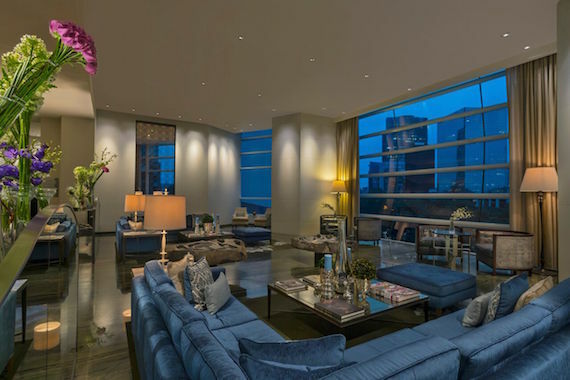 Nestled within Mexico City's historic yet trendy Paseo de la Reforma neighborhood, The St. Regis Mexico City impresses guests with its convenient location, situated within walking distance of museums, restaurants, shops and iconic attractions like El Ángel de la Independencia. The property's breathtaking city views, 24-hour butler service and spacious marble and onyx bathrooms also win favor with travelers, so it's no wonder why this St. Regis outpost earned numerous accolades this year, including AAA Four Diamond and Forbes Travel Guide Four Star awards, helping it jump six spots to seize the No. 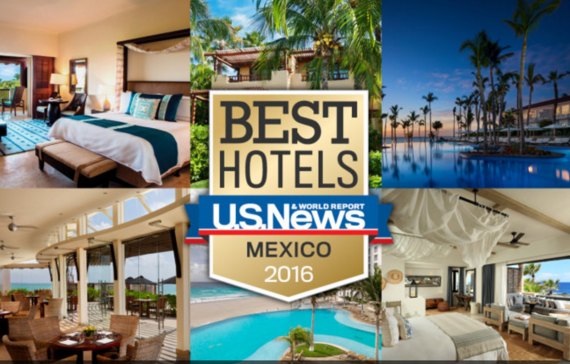 7 position on our Best Hotels in Mexico 2016 list. 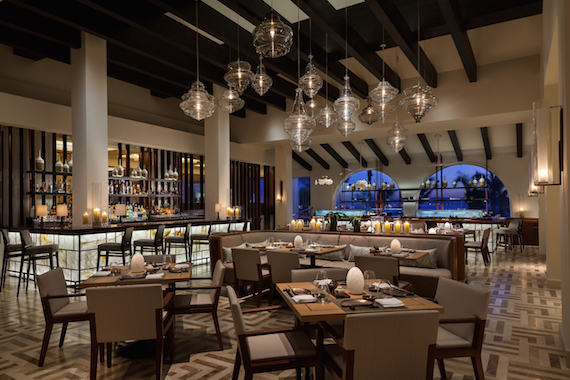 True to the Auberge brand, Esperanza embraces its Cabo San Lucas location in a variety of ways. 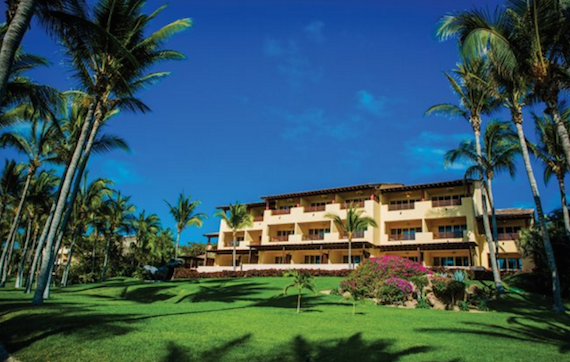 Across the property, you'll find views of the Sea of Cortez and thatched roofs, local artwork and rich textiles. 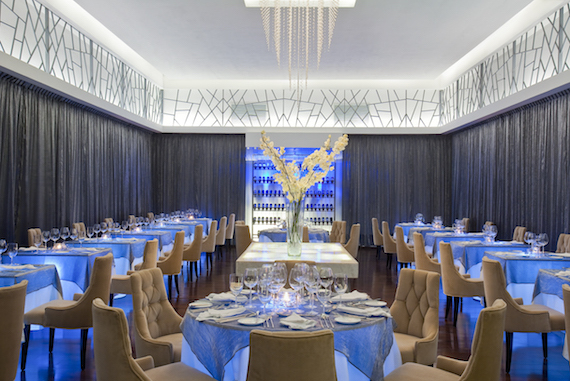 Plus, the fresh seafood reigns supreme at the on-site eateries. And with added perks like Mexican-inspired spa treatments and complimentary cooking lessons, tequila tastings and fitness classes, it's hardly surprising Esperanza came in at No. 6 on this year's list, up from No. 11 in 2015. Rising 10 spots to become this year's No. 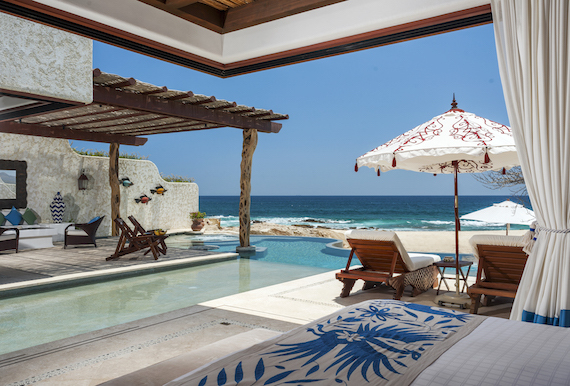 5 property on our Best Hotels in Mexico list, the Four Seasons Resort Punta Mita offers superior resort amenities. With two private beaches, complimentary beach equipment like kayaks, snorkeling gear, volleyballs, five pools, a lazy river and 10 tennis courts, this Four Seasons property is all about helping guests embrace the sun and sand on their Mexican vacation. Situated alongside the Pacific Ocean and the Sea of Cortez between Cabo San Lucas and San José del Cabo, this Rosewood resort offers an array of perks to help you relax and have fun. Along with personal butlers and beachside cabanas with private plunge pools, Las Ventanas al Paraíso also boasts a "Department of Romance" for organizing romantic occasions and private sea charters aboard its 60-foot yacht. 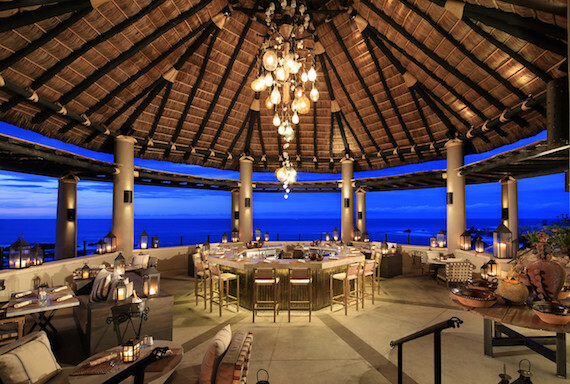 Once a tropical hideaway for Hollywood celebrities like John Wayne, Lucille Ball and Bing Crosby, the One&Only Palmilla, Los Cabos continues to impress travelers with its tranquil atmosphere and exemplary customer service. 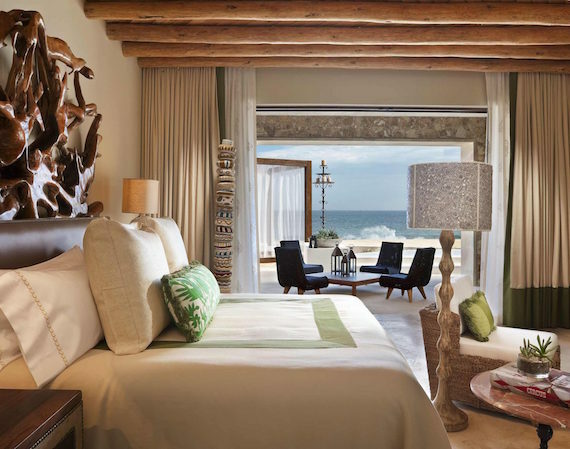 And thanks to the property's specialized touches like pillow and aromatherapy menus and binoculars for whale watching and stargazing, the One&Only Palmilla has garnered prestigious accolades, including the Condé Nast Traveler Gold, Travel + Leisure World's Best Hotels and AAA Five Diamond awards. 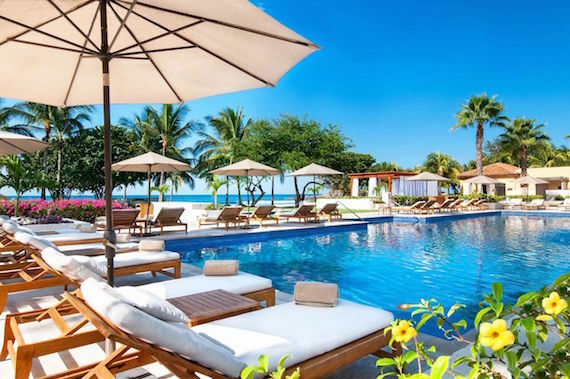 With its white-sand beaches, luxurious Remède Spa and family-friendly activities, it's easy to see how The St. Regis Punta Mita Resort claimed the No. 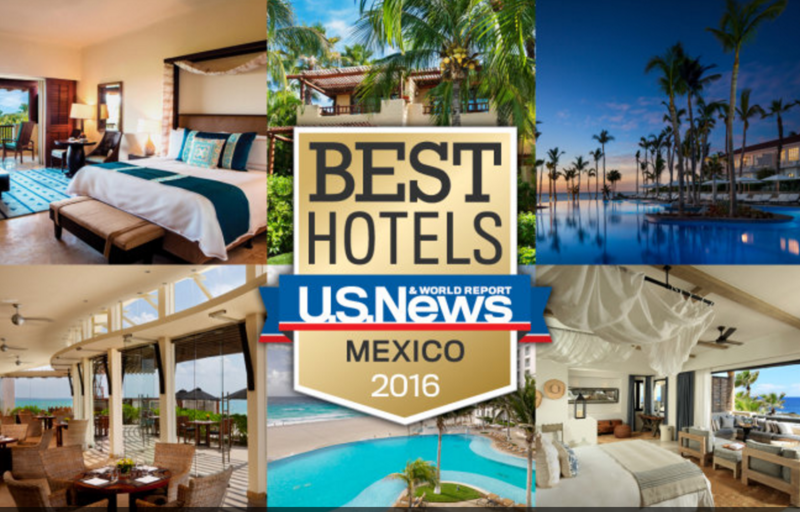 2 spot on our 2016 list of the Best Hotels in Mexico. But it's not just former visitors who rave about this St. Regis outpost; the property's abundant amenities and stellar service have earned it numerous accolades, including a Travel + Leisure's World's Best Hotels award, a Forbes Travel Guide's Four Star rating and recognition on Condé Nast's Readers' Choice list. Clinching the No. 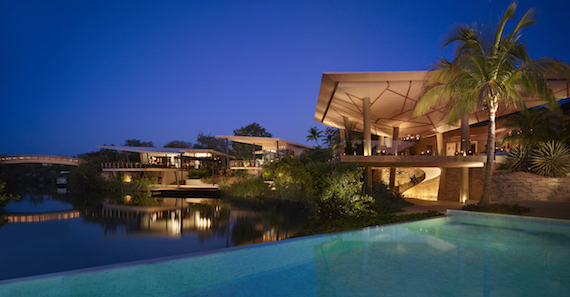 1 spot on our 2016 Best Hotels in Mexico ranking, Rosewood Mayakoba seamlessly blends modern architecture and lavish amenities into its picturesque Riviera Maya landscape. After arriving by private shuttle from the airport, indulging in a complimentary welcome drink and getting escorted by boat to one of 130 suites, you'll settle into your chic accommodations. Each suite is constructed from local materials and features lagoon or Caribbean views, spacious terraces, rooftop sun decks and heated plunge pools.